The Litter Box: Books Adapted Into Movies: To Love Them Or Loathe Them? Books Adapted Into Movies: To Love Them Or Loathe Them? Today, as I heard one of my co-workers talk about the Twilight Saga with her student and she got most of the details wrong since she admittedly said that she did not read the book, I didn't really like what she said. Funny, many girls like Jacob Black. Must because of the whole shirtless wonder he has become from New Moon. Pssh! As if he ever stands a chance against the alpha male, Alcide Herveaux from True Blood. Anyway, although I read the books and devoured each one of them, I can't really say that the books were better. Sure, the books were more detailed but then again, I didn't like the writing on the books because they were written for a much younger audience. Who knew Edward and Jacob would end up being heartthrobs even to those older than teenagers? Now, that the movie franchise is over, fans are asking for more especially since there wasn't a real ending to the last book. For the love of God though, I think I have had enough. Meanwhile, the success of several other books have made it to the big screen. Books like J.K. Rowling's Harry Potter series and Suzanne Collins' The Hunger Games might both have strong following in the big screen but there are more who like the books themselves. Although I have dabbled on some HP bits, I never really read all the books. I read all The Hunger Games book but ended up being disappointed with many parts and somehow a bit annoyed with Katniss, overall. TV shows loosely based on L.J. Smith's The Vampire Diaries and Charlaine Harris' Southern Vampire Mysteries AKA True Blood might have been famous to many but both of them have created their own twists to the books and have had lives of their own. 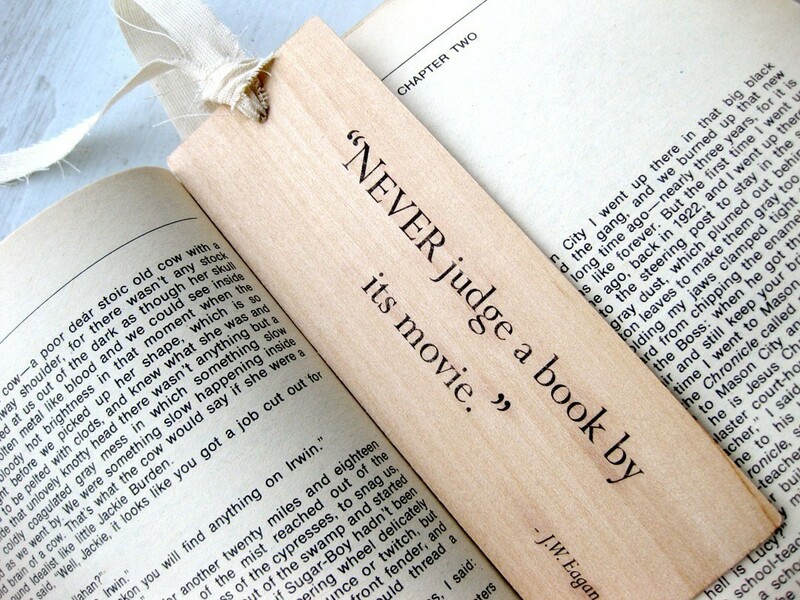 One reason as to why you should never judge what you see on TV and in the movies to rate certain books. This growing trend will never stop as fiction has already hit a stage when Hollywood seems to have lost inspiration and have found it in such books. I heard there will be another Percy Jackson movie soon and that there will even be a Fifty Shades Of Grey one as well. Maybe Hollywood just wants to sensationalize these books more and profit from them in their own way. I don't see anything wrong with that. I just don't think they should claim that these movies were solely based on the books. Somehow they should also warn the audience how loosely based they are from the original plots. Anyhoo, since I am torn between being a book and movie lover, I would have to be in the middle of this. I read books and watch movies but at least I have the sense to know which one came first and the taste to say which one is better. Shouldn't most people have that too? Just musing. Do you usually like the book better than the movie or the movie better than the book? What is your favorite book to movie adaptation you have ever seen? -- To me, most movies don't really capture the true essence of the books. It is like they chop off so many good scenes. Besides, it is easier to carefully craft something using words than just pictures. Sometimes a scene from a movie doesn't look as magical as it is in the book. Sadly, because people read their original stories, they often have high expectations of the movies. 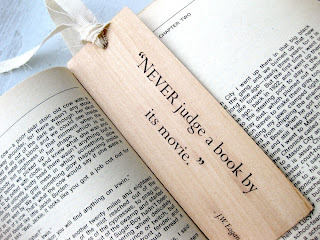 This is why I would rather read the book and watch the movie separately. To me, they are very different experiences which I should never judge at the same time especially not when it comes to comparing their differences and similarities.